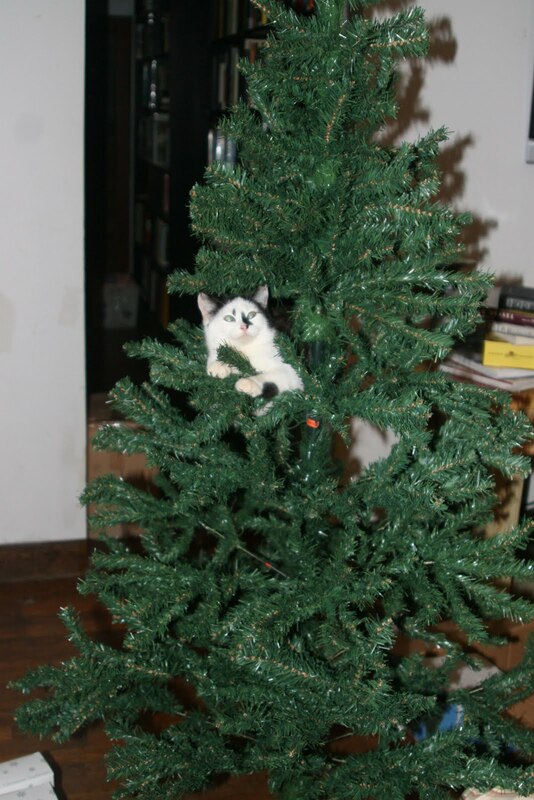 but not everyone can have live Christmas ornaments. Much like live Nativity scenes, we thought perhaps, live decorations. The idea was short lived. 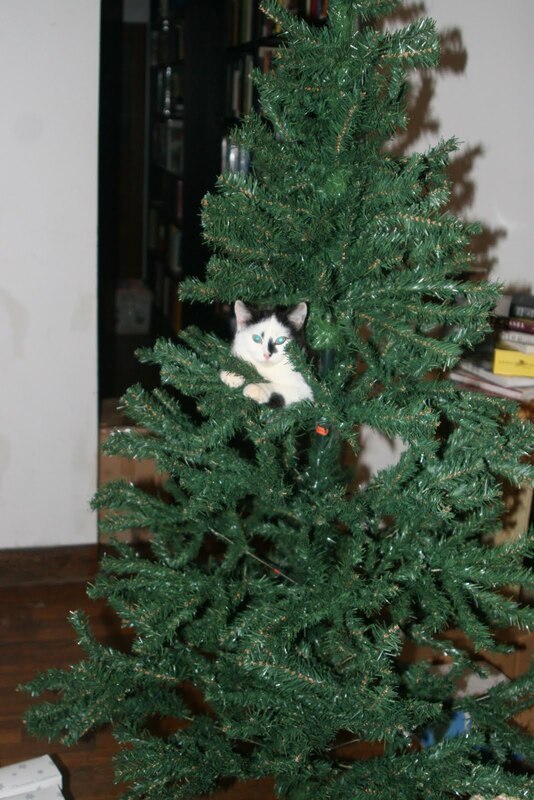 But, definitely in the Christmas spirit. I think you need MORE live ornaments on the tree! This is hilarious! 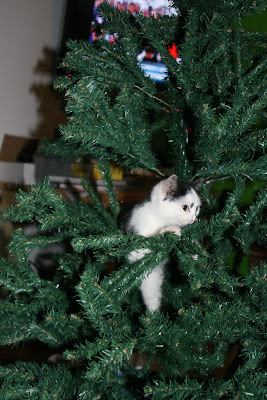 Silly kitty, caught in a tree! This is just so precious! Lucky you to have gotten the photos before the cat jumped out! 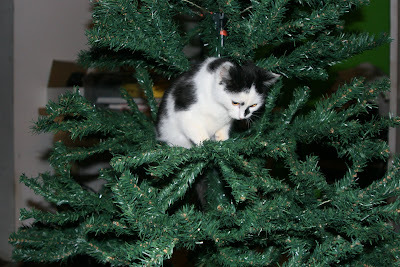 A cat in a tree? it definitely can't work! 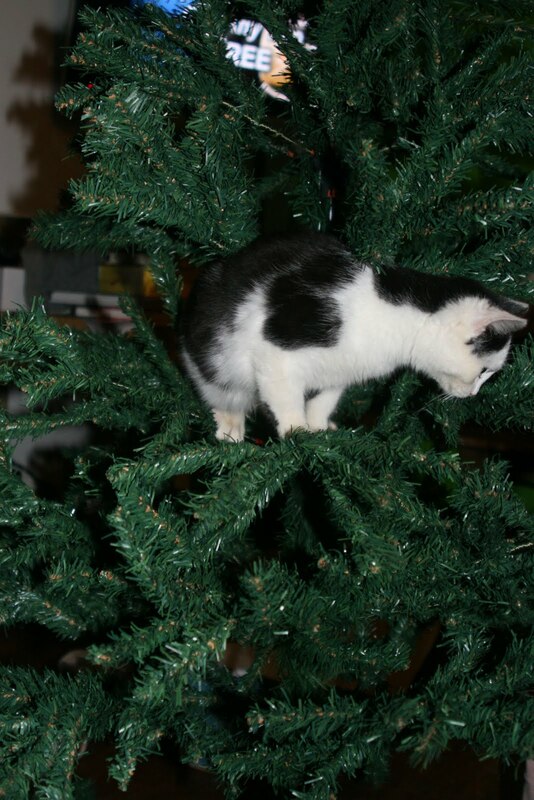 cats hate trees you know!